1974 was an important year for the Europa stamps collection, because since then, a common theme replaced the common design system used since 1956! 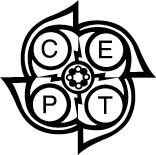 Only the CEPT logo (or letters) on each stamp indicates that the stamp is a "Europa stamp". That year, the first theme to be chosen was sculptures (23 countries ; 49 stamps). The next year (1975) the theme was paintings (24 countries ; 50 stamps). It was also the first Europa issue of the Turkish part of Cyprus. Due to the political situation on the island of Cyprus, the stamps issued by the Turkish part of the island aren't recognized on an international level. Even if those stamps bear the Europa logo, they are not official Europa stamps but most of the Europa stamps collectors collect them as they issue Europa stamps on a regular basis since 1975 ! In 1976 the common theme was handicrafts (27 countries ; 58 stamps). Two new postal administrations appeared that year, Guernsey and the Isle of Man which still issue Europa stamps those days ! 1977 (28 countries ; 56 stamps), landscapes. 1978 (30 countries ; 65 stamps), monuments. Jersey took part for the first time that year. In 1979 (31 countries ; 68 stamps) the theme was postal history. The Faroe islands and Gibraltar are taking part since that year. Gibraltar isn't in fact a CEPT member but issue each year 4 stamps on the same topic as the Europa stamps but without the official logo. As they are British colony on European soil those issues were always tolerated. The theme for 1980 (32 countries ; 67 stamps) was famous people. 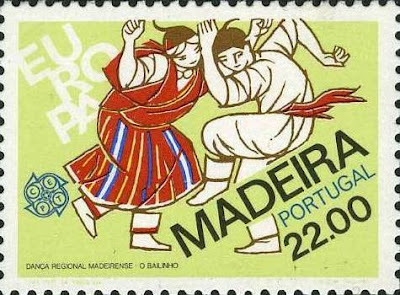 In 1981 (35 countries ; 69 stamps) the theme was folklore and feasts. For the first time the Azores and Madeira issued Europa stamps under their own name. 1982 (35 countries ; 70 stamps) : historic events. 1983 (35 countries ; 71 stamps) : inventions. In 1984 (35 countries ; 67 stamps) the CEPT was 25 years old (1959-1984). To celebrate this event it has been decided to use a common design again as it was the case before 1974. The common design was a bridge designed by the French engraver Jacky Larrivière. 1985 (35 countries ; 73 stamps) was the European Music Year and the ideal topic for Europa stamps that year. 1986 (35 countries ; 74 stamps) : nature conservation. 1987 (35 countries ; 74 stamps) : modern architecture. 1988 (35 countries ; 79 stamps) : transportation . 1989 (35 countries : 80 stamps) : children's games. Till 1981, the number of countries issuing Europa stamps grew up till a record number of 35, especially with the venue of Dependencies and Autonomous country parts. The number of 35 stayed stable until 1990 but the number of stamps grew up till a record number of 80 in 1989! What a beautiful stamp. Thank you for posting it! What a wonderfull work you made with theses three parts of the Europa stamps history... I look forward to reading from you the IVth part soon ! Great blog ! congratulations ! I am writing part IV. As soon as I have more time I'll publish it. And later I'll make a final part (n° V). What unusual stamps. I want to start bring some unusual stamps like these into the stamp album I have just inherited. Hi, I just count my EUROPA CEPT 1977. UK, Netherlands and Vatican didn't take part. @xinggs - I counted again and I still have a total of 56 stamps ! It's strange, I am curious which stamp you have extra !!? ?